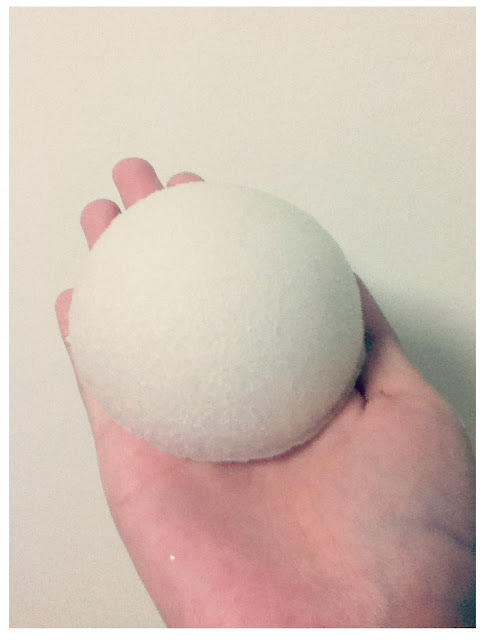 No, it's not a silicone implant (although it feels so soft and bouncy haha). If you walk around Watsons or some selected night market often enough, you'll see this thingy. 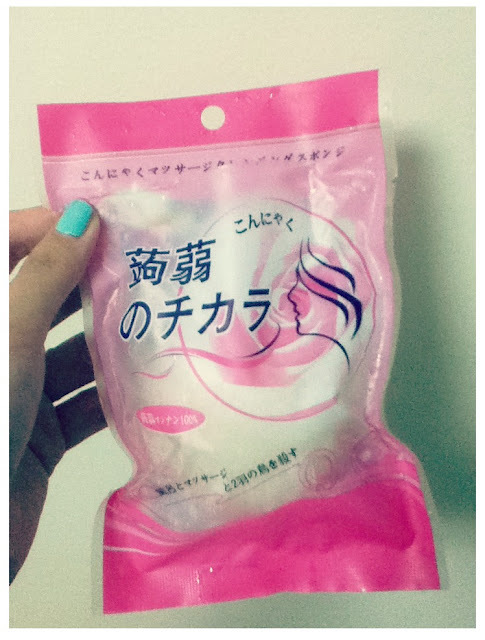 It's actually a Konnyaku sponge for facial cleansing. I saw this for a few times, but quite unsure about it... Until I see it at Watsons ( sorta affirm me with its credibility) so I decided to gave it a try. Konnyaku (or you always know it as jelly/agar-agar), this sponge is made from its roots. 100% natural without any artificial pigments nor preservatives. So soft and gentle I can't help myself and squeeze it often haha. You can use it eventhough you have sensitive or even, hypersensitive skin because of its natural fibre ingredients. According to the salesman, you don't need facial cleanser to cleanse your face anymore. Just rub this sponge in circular movement around your face and voila! Your cleansing routine is done. After massage your face with this sponge, you can feel a very thin colloid film feeling leave on your skin. It's said to protect and nourish your skin. I use this Konnyaku sponge alone in the morning because I just can't stand not to use facial cleanser at night after the whole day where my face were covered by dusts and so. So far so good. Aside of cleansing your skin, other benefits using Konnyaku sponge is it can exfoliate your skin, deep cleanses your pores and eliminates blackheads, kill acne-causing bacteria, balance the ph of your skin and moisturizes your skin as well. Sounds a bit too good to be true eh? lol.